The father of 'white revolution' Dr Verghese Kurien, who transformed India from a milk-deficient country to the world's largest milk producer and the founder of Amul, passed away on 10 Sep 2012 after a brief illness. Kurien, 90, is survived by wife Molly Kurien and daughter Nirmala. His mortal remains were consigned to flames in the presence of priests from different religions. The last rites were performed by his grandson Siddharth. Respecting his last wish, Kurien was cremated. Kurien died at around 1.15 a.m. at Muljibhai Patel Urological Hospital in Nadiad, about 25 kms from here. His body was brought to his residence here and kept in Sardar Hall of Amul dairy in Anand, where people paid homage. His professional life was dedicated to empower Indian farmers through co-operatives. Kurien joined Kaira District Cooperative Milk Producers' Union Limited in 1949, on the request of Tribhuvandas Patel, the then dairy chairman. The dairy was formed at the initiative of Sardar Vallabhabhai Patel. Later, Patel asked Kurien to help set up a dairy processing plant, which saw the birth of Amul, which became a successful cooperative model. Kurien is also credited with being the first one to produce powder from buffalo milk, when elsewhere in the world, cow milk was used to produce milk powder. Impressed by the success of Amul, former Prime Minister Lal Bahadur Shastri established National Dairy Development Board (NDDB) to replicate the Amul model across the country and Kurien was made its chairman. As Chairman of NDDB, Kurien led 'Operation Flood' to make India the biggest milk producing nation in the world, besides making Amul a household name. NDDB launched 'Operation Flood' in 1970, making India the largest milk producer in the world. He served as chairman of NDDB for 33 years from 1965 to 1998. Paying rich tributes to Kurien, President Pranab Mukherjee said he had made enormous contribution in the fields of agriculture, rural development and dairy. Prime Minister Manmohan Singh and Vice President Hamid Ansari also expressed their condolences on his death. Ansari said Kurien was credited with being the architect of the largest dairy development programme in the world-- Operation Flood. Terming him as an icon of Indian co-operative movement and dairy industry, Singh said in his long and illustrious career, Kurien set up the Anand model of co-operative dairy development and engineered the white revolution. 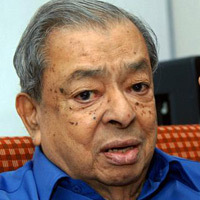 Described as the undisputed 'Milkman of India', Kurien had received national and international recognition. The Indian government had conferred on him Padmashri in 1965, Padmabhushan in 1966 and Padma Vibhushan in 1999. He was also the recipient of World Food Price, Ramon Magsaysay award for Community Leadership, Carnegie Wateler World Peace Prize and International Person of the Year award from US. Born in Kozhikode, Kerala on 26 November 1921, Kurien had graduated in science from Loyola College in Chennai (1940) and obtained his degree in engineering from Guindy College of Engineering also in Chennai.